The leaves are changing, the days are shorter, the air is crisp, and costumes are flying off shelves. We like to call this time of year HeArTh-O-wEeN! 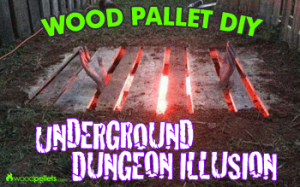 Lots of spooky decorations are everywhere, but did you know you can use that your leftover wood pallets from your delivery to really kick it up a notch? Here’s a new one – an Underground Dungeon Illusion! You only need a little time and a few provisions to make it. Why Your Pellet Stove Won’t Ignite, Stay Lit, Feed Pellets, Etc. There are many different brands and styles of wood pellet stoves – so the best way to start learning about your particular stove is to read the entire manual. If you’re a new pellet stove owner, or have switched to a different model – it could take some trial and error to learn the right process for your home. 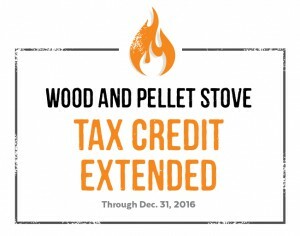 You might be surprised to learn that many common issues pellet burners face with their stoves can be solved with making some adjustments. Again – start to troubleshoot and learn by reading your manual! It has the best stove-specific advice on operation, maintenance, recommendations and best practices. 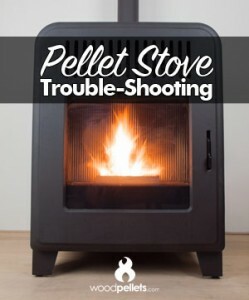 Take a look at our quick cheat sheet below to review the pellet stove problems we hear about the most.